Join the nation on Wednesday 13th June to take a collective stand against bullying in your school, workplace or community. Stand Up To Bullying Day was started in 2016 by The Diana Award with HRH The Duke of Cambridge to bring the country together and raise awareness as to what bullying is, how it occurs and what to do about it. Last year saw us reach 10 million people from across the UK and around the world. Help us beat that number and stand up for a community of kindness this June. Whether you are a school, company or an individual there are plenty of ways for you to get involved in Stand Up to Bullying Day. Purchase your Stand Up To Bullying Day badges and other merchandise ready to show your commitment on 13th June. 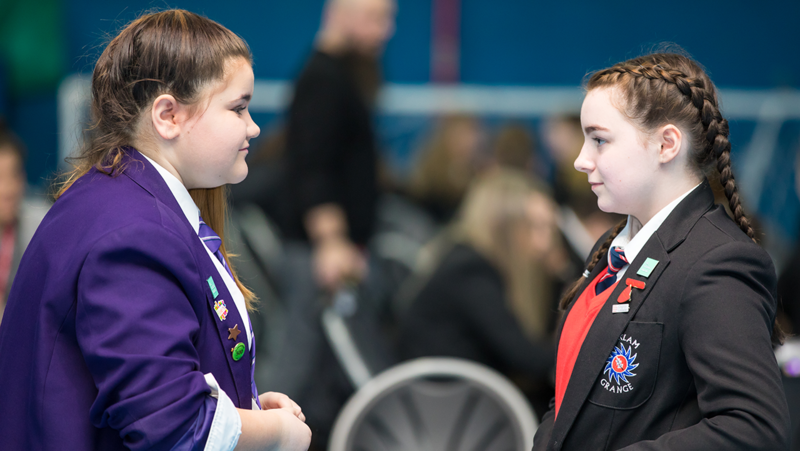 Whether you're a school, organisation or an individual there are plenty of different ways that you can get involved in Stand Up To Bullying Day. Discover our dedicated resource packs to guide you through how to join in with the campaign. Standing up means being an upstander, not a bystander. It means calling others out when their actions are unkind, reporting conversations online that don’t look right and creating a community that will speak out and stand up to bullying.